Lawn soil, Dressing and Lawn Sand. Aerators,spreaders, sprinklers and edgings. 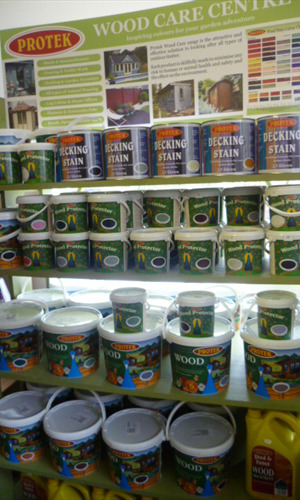 A full range of Lawn Feed, Weed and Mosskillers. A varied selection of Lawn Seed and fresh turf. Rootgrow mycorrhizal fungi, RHS endorsed, is recommended by us for planting most Trees, Shrubs, Roses and Herbaceous Plants. It aids quick establishment of the root and is a compliment for fertilisers not a replacement. A range of hanging baskets using natural materials as well as traditional wire and metal baskets in a variety of styles and sizes. The range includes free-standing tiered planter baskets, wall baskets, troughs and hayracks. To compliment this range we stock jute and coir pre-formed liners as well as supplying this by the metre in sheet form. Brackets to hang your baskets from, suitable compost, plants, fertilisers and water retaining gel. Weed membrane in a range of widths and quality, polythene, and weed killing sprays available. Log Roll in a variety of heights, log roll panels, bamboo and willow edging, plastic lawn edging, decorative plastic coated metal edgings. A range for all budgets in various sizes. 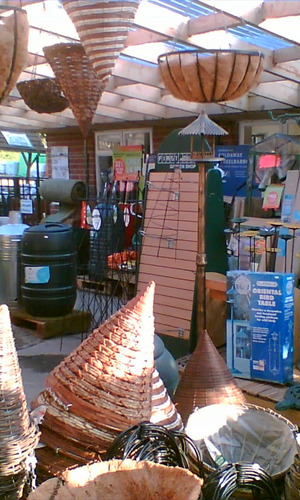 Wooden rigid trellis, expanding softwood trellis, expanding willow trellis and a range of net and screening. An inspiring range of solid wood furniture including many styles of benches, companion seats (love seats), arches, arbours and metal bistro sets. We also have a home delivery brochure with many more styles and options to choose from.